Many traditional Americans have grown increasingly weary of the globalist-inclined corporate-owned Trump bashers in the worldwide media, who more often than not have very little negative to say, at all, about former president Barack Obama. 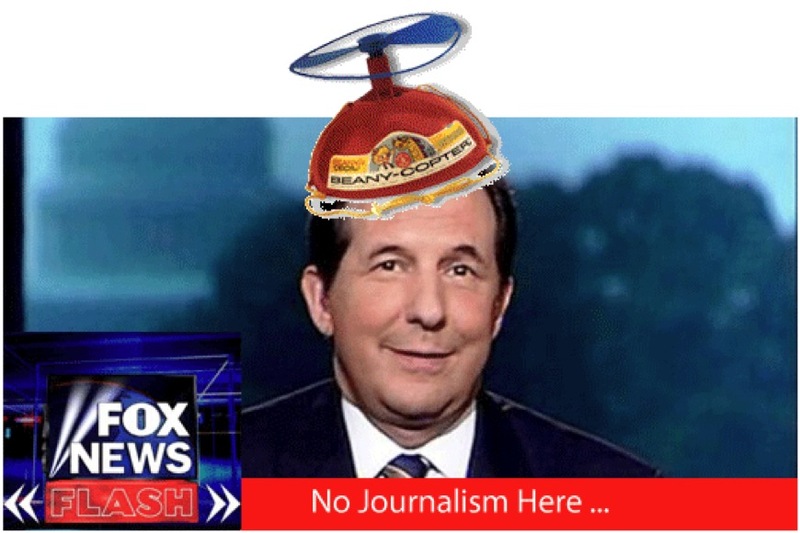 Chris Wallace over at Fox News, who often tends to focus on the non-sourced “fake news” being propagated by the Washington media elite against Trump, is one such news personality. It’s not that most of us have an issue with any honest criticism of Trump, rather, it’s the often insidiously smug approach that Wallace & others undertake, while back-handedly insulting both the president and his administration on what is more often than not matters of opinion (and outrageous rumors) that are being dishonestly twisted into being portrayed as solid news, by none other than Wallace and his ilk. 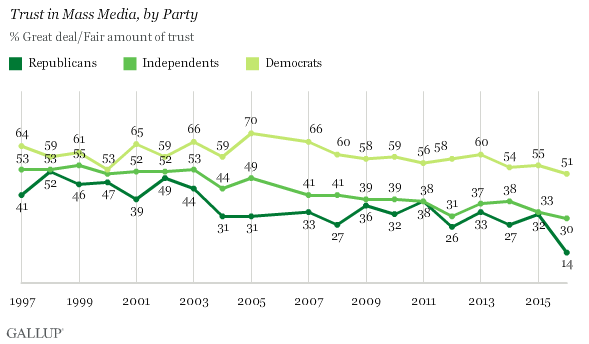 In fact, it’s gotten so bad that a large number of political junkies no longer even bother to watch what used to be some of the most valid and even signature Sunday news shows, on cable and broadcast TV. It’s just more of the same twisted half-true pap, that we all know is simply not accurate, at least, as its being parlayed. From “Meet The Press” to “Fox News Sunday,” and at all points in between, it’s become almost like watching tabloid TV rather than actual news shows, in these latter days of the conservative movement’s having roared back into life, while even now increasingly calling the shots, for America. Indeed, under President Trump, the media’s fiddling-around with filing false narratives parading as news stories, have gotten far, far worse, and it has seemingly happened almost overnight. Moreover, over the last 8 years under Obama’s media-adored “American transformation,” we saw nothing much more than overblown cheerleading coming from far too many of these network news shows, while now, it’s like the media has suddenly rediscovered its role in investigative journalism, except, the journalism tends to run only in one direction, and that’s generally against both Trump and the Conservative movement, while ignoring the mountain of corruption that’s still gathering against both the Deep State and the Obama regime. In the video at the top of this article, recorded during the Obama regime, we’ve included a clip of Chris Wallace actually defending Obama against several of his own Fox colleagues, a thing that we all know would never, ever, happen were the shoe on the other foot, as it regards Wallace’s unfavorable treatment of President Trump. Which brings us to the latest incident of Wallace and his recent repeat-attack on his own news colleagues at Fox, over their insistent and deserved bashing of the fake news industry, in general, that has seemingly taken over pretty much every single network, in America. Well, while Wallace gives his own biased-fake-news media a break and his more popular colleagues a slam, he certainly doesn’t mind bashing his own president, but also, Wallace must not be watching the same media that we are, which has now dropped to an all-time low, in both trust & favorability, due to its obvious bias towards bashing Trump and conservatism, while constantly giving the previous president and all progressives wide latitude towards breaking America down and selling the pieces off to the global elite. Maybe Wallace is merely growing increasingly angry that his once popular show appears to now be bringing up the Fox rear, due to his own heftily inclined bias against the Trump administration, who knows? But, when we speak of fake news, Chris Wallace, it seems, has drifted more to the dark side, as time progresses, much like his dad, Mike Wallace; the apple appears to be rolling back towards the tree. In an interview with the Associated Press this week, Fox News Sunday anchor Chris Wallace put his colleagues on blast over their penchant for discrediting the press. As he puts it, whenever these media attacks are uttered on the air by an opinion host or commentator, that person should realize they are also essentially slamming Fox News reporters and journalists. While not naming names, it is pretty apparent he is going after the blatantly pro-Trump hosts on the network like Sean Hannity, the Fox & Friends crew, Tucker Carlson, and Jesse Watters — who have led the charge on echoing the president’s fake news complaints. This isn’t the first time Wallace has called out Fox News for bashing the press. In the wake of FBI Director James Comey’s firing, he rebutted Fox News host Pete Hegseth’s complaints about media hysteria on the bombshell, pointing out to Hegseth that it was absolutely a “big story” that needed to be covered. This came after he noted on Outnumbered that Fox’s commentators shouldn’t embrace Trump’s hostility to the media if they previously complained about President Obama criticizing Fox News.